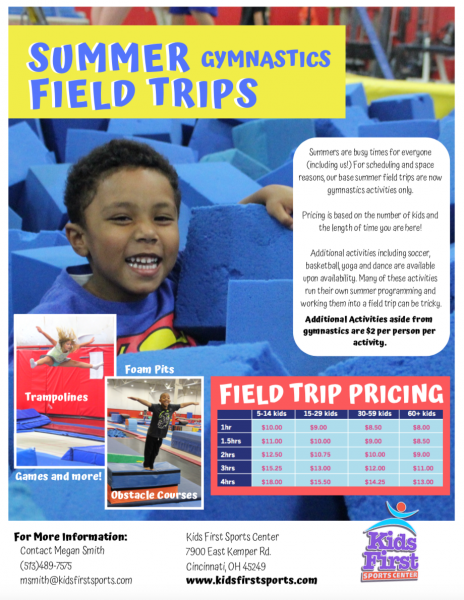 Kids First offers field trips for children of ALL ages. . . .and anybody else who would enjoy a day of fun at Kids First! Your Field Trip can be an instructional class or simply fun and games in one or multiple programs. Our staff will work with you to fit the needs of your particular group. Or any combination of activities! From a one hour visit to a full day experience with lunch, we have a Field Trip adventure to fit every group! Contact our Special Events Director for pricing information and to schedule your event.